NEW MILFORD — The Connecticut Hawks, a women’s tackle football team, conducted an open practice Saturday morning. 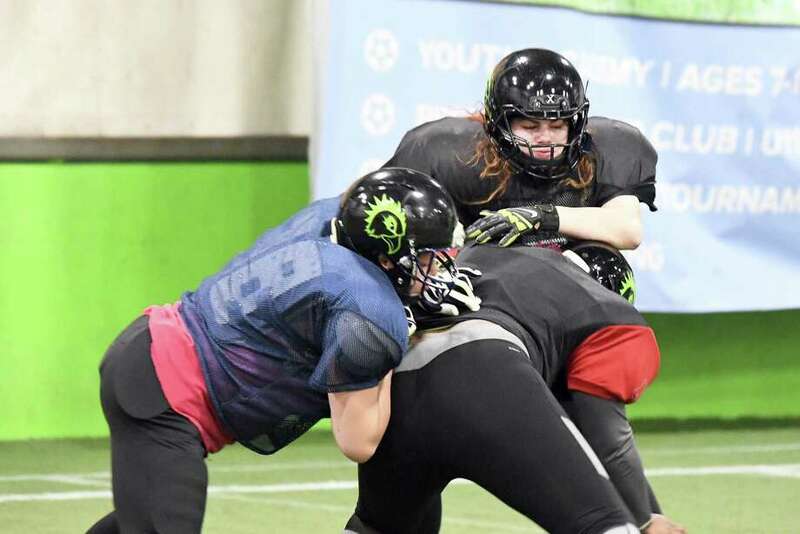 The team, part of the Women’s Football Alliance, hoped to attract new players for its 2018 season with the practice, which took place at the Connecticut Sports Arena. The Hawks are open to any women over 18. This was the fifth Saturday practice at the arena this year. The Hawks conducted open practices in Danbury throughout the fall.